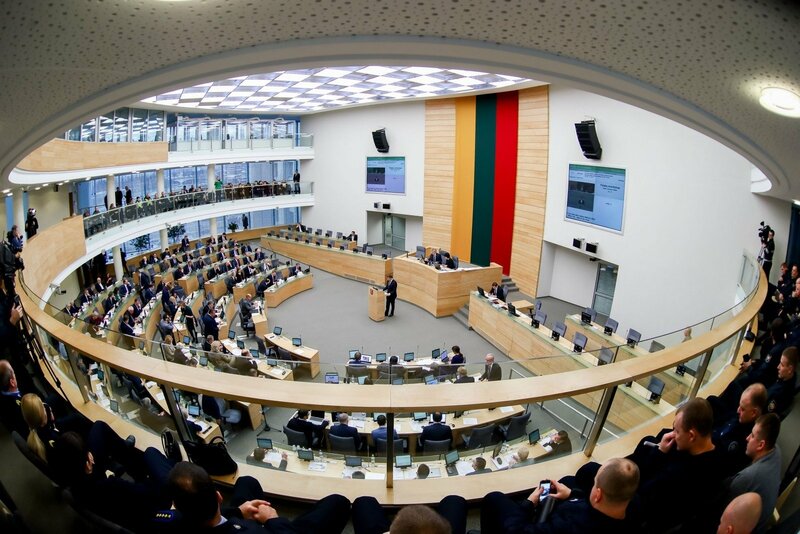 The Seimas opposition blocked on Thursday the ruling bloc's unexpected proposal to give the greenlight for the government to borrow money not only for increasing the defense budget, but also for providing funding to the Lithuanian Social Democratic Labor Party (LSDDP). The vote had to be postponed after opposition lawmakers did not register for it. Agnė Širinskienė of the Lithuanian Farmers and Greens Union (LVŽS) supplemented a bill originally aimed at allowing the government to borrow funds to increase defense funding and thus meet NATO's 2 percent of GDP spending target. Širinskienė proposed that the same bill envisage the same mechanism for financing the activities of a political party formed after general elections. Finance Minister Vilius Šapoka told the parliament that the government backed the proposal. However, MP Rasa Juknevičienė of the conservative Homeland Union–Lithuanian Christian Democrats (TS-LKD) and MP Algirdas Sysas of Lithuanian Social Democratic Party (LSDP) slammed it as an act of "overt political corruption" by the LVŽS aimed at buying support from their coalition partners. Vytautas Bakas, chairman of the Seimas Committee on National Security and Defense, described the proposal as "a mean way to solve one's petty internal problems". "It seems that we are becoming hostages to one of the parties present here," he said, but called on his fellow lawmakers to vote in favor of the amendment as the defense budget is a top priority. The opposition somewhat later blocked another bill designed to change political party funding rules, thus opening the way for allocating over 200,000 euros in state budget funds to the LSDDP, the minor ruling coalition partner of the LVŽS. 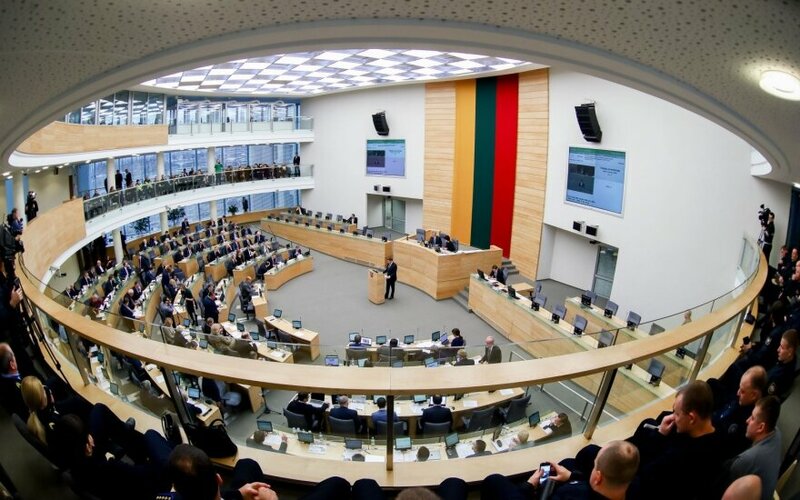 The parliament failed to muster the required minimum number of 71 members needed to hold a vote after lawmakers from the TS-LKD, the Liberal Movement and the Electoral Action of Poles in Lithuania–Christian Families Alliance (LLRA-KŠS) did not register for either of the votes. Under the existing legislation, only parties that won seats in elections are eligible for state subsidies. The proposed amendments would have allowed a new political party that is registered after parliamentary elections but has seats in the Seimas to be allocated funds from the government budget. The LSDDP was founded earlier this year by a group of former LSDP members, who split from the party last year, and currently does not receive any state subsidy. The state subsidy to the opposition LSDP amounts to around a million euros per year. About 5.5 million euros in state subsidies are distributed among political parties annually.